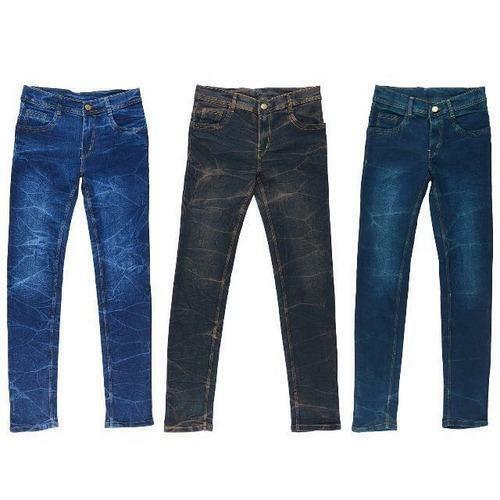 Our range of products include Mens Faded Jeans, Mens Rough Denim Jeans, Mens Stretchable Jeans, Mens Stretch Jeans, Mens Stylish Denim Jeans and Mens Designer Jeans. We are considered as an affluent manufacturer of eye-pleasing range of Mens Faded Jeans. Knowing the choices and preferences of our clients, we have been able to manufacture and supply a fascinating collection of Mens Stretchable Jeans. Being a patron focused business enterprise we are actively engrossed in manufacturing this highly fashionable and elegant Silky Blue Mens Denim Jeans. By: Gaurav Apparels P. Ltd.